I’ve always been a bread baker. For some reason, I gravitate toward bread recipes. I love mixing it up, kneading it (thank you Cooks mixer! ), watching it raise, baking it, and then stuffing myself silly with it until I need a dolly to get around. It’s very fulfilling to me. When we switched to making all our bread, I got really excited. The possibilities are endless! There are about a gazillion recipes I want to try. I had been using the same sourdough recipe for years. It had taken me a while to find it and it was working very well for me. I tweaked it until it was just right……and I held on to it. Seriously, I wouldn’t give it to anyone. I would have taken you OUT if you had taken my recipe. 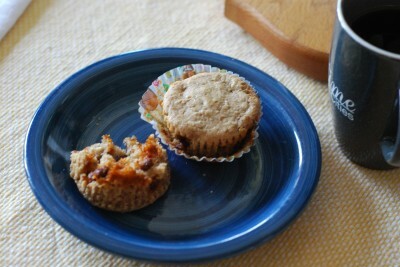 Thankfully this blog has helped me become a little more lax where recipes are concerned. And no, I’m not sharing that recipe today. 🙂 I’ve switched to another one – a better method. I was using a starter that only had to be fed the night before. It had yeast, white sugar, and potato flakes in it. As I began my research into a healthier diet, I discovered that sourdough is VERY good for you. The fermenting and souring process makes the grain easier to process and your body can absorb more of the nutrients. And plus, sourdough is just delicious with butter. I came across this book – Sourdough A-Z from Gnowfglins. Gnowfglins stands for Embracing “God’s Natural Organic Whole Foods, Grown Locally, In Season.” Well that just about says everything I believe in. You can take e-courses at Gnowfglins to learn all sorts of things like how to make sourdough, cheese, and various kinds of dairy products. One day when our house is paid off, I hope to enroll in their classes. You can go at your own pace. The book is amazing! First it gives you the basics of sourdough and how it works – very interesting. Then it tells you how to make your starter. Here is mine, alive and well. I just love watching the bubbles. When I first captured yeast from the air, I danced around the kitchen singing “I made bubbles! It’s ALIVE!” Barry looked at me weird…so did Annie. I’m used to it. The starter in this book is the old timey traditional kind, using only water and flour. The starter captures yeast from the air. It eats your flour mixture, creating the bubbles. Yes, there is yeast in the air. I’m just going to sit here a minute and let that sink in……….okay. You feed your starter twice a day. After a week, you can use it to make stuff. And boy have I been making stuff! 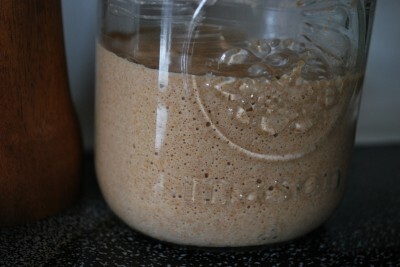 The book has tons of great recipes for using your sourdough starter. Things I never even thought about! The first thing I made successfully was a batch of English Muffins. And boy are they GOOD! About a gazillion times better than ones from the store. I’ll never look back. My first disaster was with bread. The book tells you that bread is the hardest one to master…..but I tried it first. I’m strange like that. And it was bad. Really bad. It was so bad and so sour and so flat that we fed it to the birds….and I think they might have died. Sorry birds. And then I made these glorious Cinnamon Raisin Muffins. HELLO BEAUTIFUL! We gobbled these up fast. It made 18 and we had them eaten in two days….there are only three of us here. Yeah, you do the math. So far our favorite recipe is the skillet pancake. Oh. My. Gosh. They will just make you slap your mama. You need an iron skillet for this. If you don’t have one, buy one today. Thank you. Even Annie will eat these and I can’t get her to eat regular pancakes. 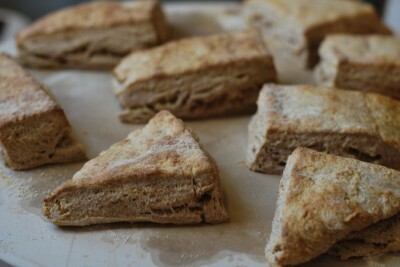 Here are some delicious biscuits I made with my starter and whole wheat flour. Man oh man. I thought I made good biscuits before, but these are awesome! And I used kefir in them too. 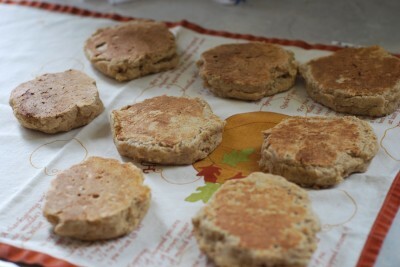 The first time I made Barry biscuits after we were married, they looked like hockey pucks and they were about as flat a pancake….and he ate them. He’s a keeper. So, if you’re thinking about making sourdough and you want to know how it goes, I can highly recommend the Sourdough A-Z book from Gnowfglins. It’s top notch. You’ll also find other fun recipes like pizza dough, chocolate cake, and waffles. I believe in GNOWFGLINS so much that I signed on to become a partner with them. That means, if you decide to buy the book and you buy from me, I get a commission! WOOT! 🙂 Okay, sorry about that but I’m really excited about partnering with these guys. They really know their stuff. I’m not just promoting the book to make money; I bought this book before joining the group and I really think it’s a great resource. I’d still be writing this even if I wasn’t a member. The book is $20 and well worth every single penny. To order through me, just click any link that says Sourdough A-Z in the post above. Thank you!You’ll see me promoting and talking about the different things offered on their site. They are lovely ladies and they are great teachers.Now I must go and devour a biscuit smothered in butter. This post is also linked at Traditional Tuesday on Whole New Mom. 🙂 No – copyrights don’t allow re-posting of recipes. Stacy, what’s the sourdough recipe you use for THM or is it in the book? It’s one of Wardeh’s recipes that I tweaked. I love sourdough bread too! This book sounds wonderful! I would love to use this book to try new recipes! I had never heard of this! I will be checking it out! I am not much of a baker, but I want to be! I saw you on Daytime Tri-Cities and I went to your website – I am so motivated now!!!! I have my fingers, toes, arms, and legs crossed hoping I’ll win it! I LOVE, LOVE, LOVE to bake! This book sounds awesome! Would love to win it and get started! Thank you for the opportunity. Love sourdough but do not have a starter….would love to get a starter & would love to get this book!!!! I love to bake! I would love to win this book! I would love to have this book. A woman I worked with gave me some of her grand mother’s started (she is a grandmother herself) and I killed it. I’ve attempted sourdough a few times, but have never had any luck. Stacy I have a 15 ear old son that would love this book. He is planning to be a chef and cooks all the time. He has took some classes at the South Eastern Culinary School. He has even made his own bar-b-que recipe. He has recently started trying to bake bread.Please consider us for this drawing. Pick me, Pick me, Pick me.. Puuulllllleeease!!! Please enter me in for the sourdough book giveaway. Love your website. I haven’t made any sourdough bread yet, Have made rolls & pizza crust. I have made white bread (in bread machine). Would love to try sourdough bread too!!!! Sign Me Up Please!!!!!! I am just starting to bake bread. I’ve had a few disasters! The only sourdough I’ve ever tried was the Amish bread version. I’d love the book! I love gnowfglins and would love to win this! I have wanted to buy but it is not in my budget! I just made the biscuits you were talking yesterday not the ones from the picture but the ones that looked like hockey pucks lol. Enter me PLEASE! This is my first time on your site (I found you from Real Food Wednesday). Great job. Great giveaway! Please enter me too. Greetings from Croatia! I have a friend who purchased this book not to long ago and she also raves about it. So I think if I don’t win it from you I might have to take some of my blow money I’ve been saving and buy it myself. I would love to have this book. I want to make my own bread too. That way you know exactly what goes in it. Please enter me in this giveaway. Would love this book. WOULD LOVE TO HAVE THIS BOOK…PLEASE ENTER MY NAME…THANKS. I’m trying to become a better cook, and those English muffins look great! Thank you for the help! You KNOW I’d really appreciate owning this book and would be baking sourdough goodies everyday. 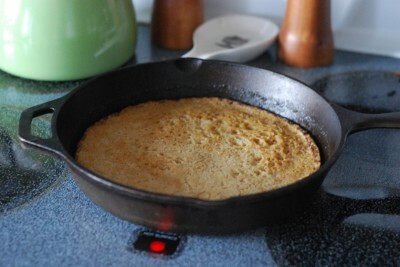 That skillet pancake looks like something I just might need to try…. Just like Annie, I’m totally NOT in the pancake fan club. I want to be entered! I’ve been wanting a sourdough recipe that doesn’t use the sugar and potatoes! I would love this book. Friday of last week I had my first ever sour dough “FLOP”. It was bad, have never had sour dough do this to me before I have been doing it for over 3 years. It is wonderful of both you and GNOWFGLINS to make this offer! Have been wanting to learn more about sourdough! This book sounds like what I have been looking for. Please enter my name. I am just beginning to learn about sourdough and would love to have this book. I would love to have this book! My bought starter died last year and I would love to grow my own. I live in the SC Lowcountry, so I suspect we have lots of yeast in the air! 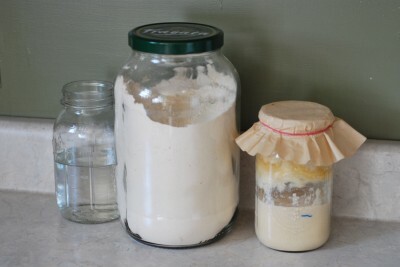 I can remember my Mama making sourdough starter, what great memories and BREADS!!! I would love to have the book. I haven’t had a lot of time to check out the website you referred to though I have heard about it. I’m always looking for new recipes and ways to create my own stuff. My dad says give me 5 years and I will be making my own cloth for clothes from wool and stuff…I don’t think I wll go that far, but my next project is to create my own green house so I can grow all of my veggies and stuff from seed! One question I do have….do you have a problem with the bread staying together and not falling apart when you cut it? I used to make bread in my bread maker (using the very unhealthy flour) and it would always fall apart as soon as I started cutting it. We definitely could not use it for sandwiches and stuff. (maybe that was because of the flour—lol). Sherri, I haven’t mastered the bread for the sourdough yet. 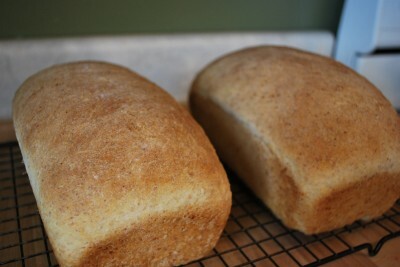 However, you should check out my Kitchen Aid bread recipe on the site. It’s what we use for sandwiches. It slices very well. Stacey…. i love your site so informative. I can not wait to try everything you and others have suggested. Thank you again for taking the time to provide this wonder information!!! You had my total attention at the mention of homemade English Muffins! YUM! yumm, does it include alternative grains?? Thanks to you, I am now very comfortable at making my own bread. The first time I made yeast rolls they were hard and dry. I even was bad at making loaf bread. I did well with all of the quick breads, but now I am successful with the yeast breads woohoo!! Please, please, please I want it so bad so I can learn to capture yeast from the air. We are beginning to try to eat healthier whole food without white sugar or whie flour. I love sourdough….it’s my favorite bread. Would love to have this. I love sourdough bread but have never had good luck with starters for bread. I have never tried to make bread in the past but would love a healthier option for my family. This book sounds like a great place to start learning. This is awesome! I always make our own bread, honey whole wheat. But, I’ve never made sour dough and, now I must! I want it! And need the amount of ingredients to make the starter 🙂 Yum!!! I would love to be able to bake my own bread! I am getting ready to start making our own bread, and I can’t wait. This book looks like a must have! I’m excited about the pizza dough recipe 🙂 LOVE HOMEMADE PIZZA! I have never made sourdough bread before, but your pictures look so good. I LOVE sourdough bread, but haven’t had much luck making it. What is the cost of the book if purchased through you? $20 and it’s well worth the money! i would love to have this book. I was just looking around yesterday for sourdough bread recipes… so this is perfect timing! Stacy… are you reading my mind? I haven’t made bread in forever, but I would love to get back to it. I love making sourdough bread. I too use the potato flakes in the starter. I could eat a whole loaf by myself warm with butter. Better bread I can’t image. Ooooh this is exciting, I love baking bread! Have tried baking my own bread at times, but would love to win this cookbook and become more experienced! Love your ideas! The bread looks so great.